This is a variation of our most popular candy! 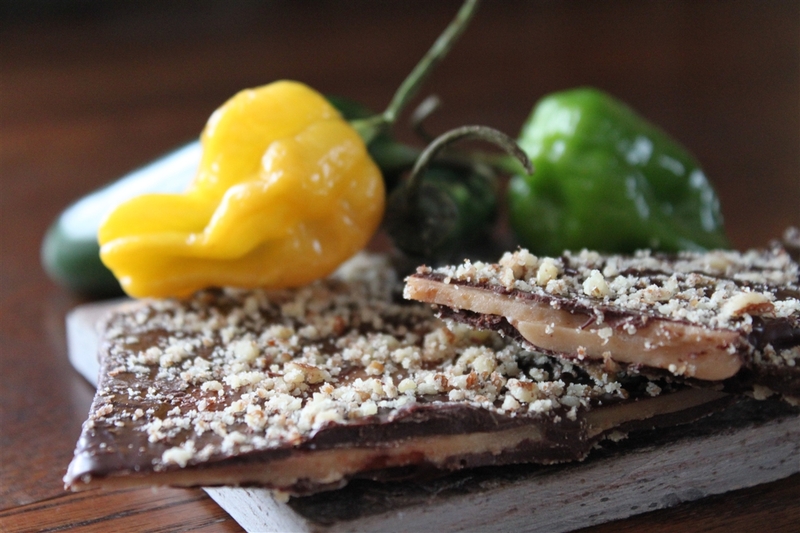 Almond butter crunch is cooked in a copper kettle, poured on a marble slab, then drenched with chocolate and sprinkled with diced toasted almonds! 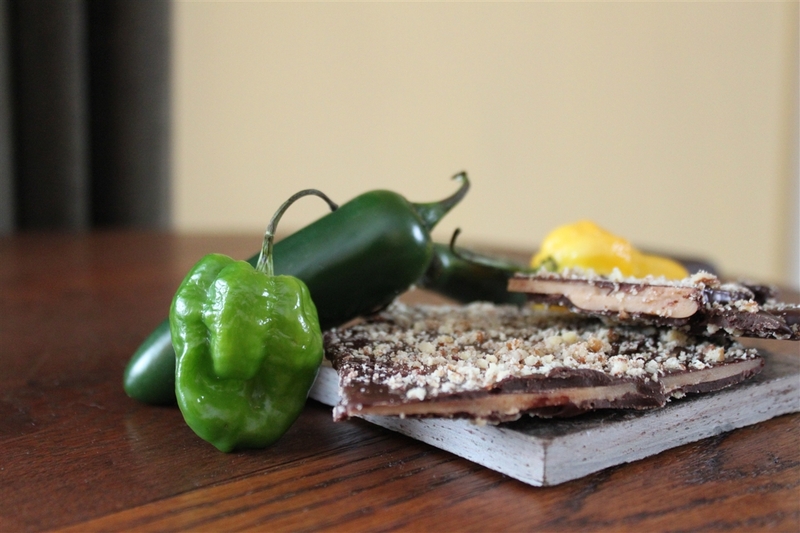 THIS is coated in Dark Chocolate with Habanero and toasted PECANS. We designed our Habananero Pecan Crunch to be crisp and fresh and to be eaten as a fresh product. It has a three week shelf life because it has so much butter. It is impossible for it to sit because when you start eating it you will find that it is addictive!